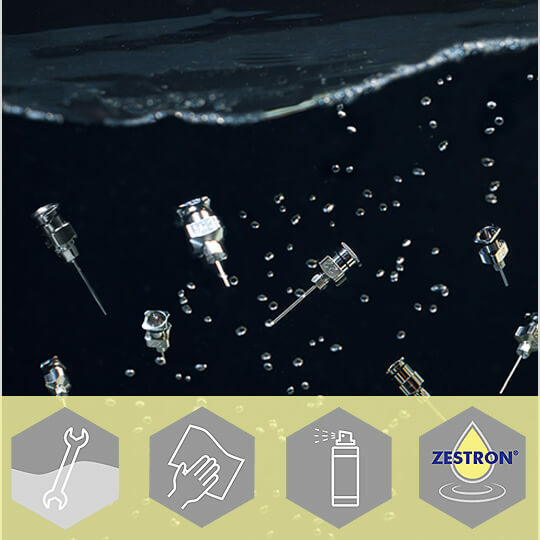 ZESTRON® HC is a modified alcohol-based cleaning agent designed to remove SMT adhesives from tools such as dispensing nozzles. ZESTRON® HC can also be used for the removal of solder particles and dust from pick & place nozzles. It is supplied in an aerosol can for easy manual application.